"The Powell Expedition is a thought-provoking, nuanced work that reads at times like a detective story, and it should offer much fodder for historians." John Wesley Powell’s 1869 expedition down the Green and Colorado Rivers and through the Grand Canyon continues to be one of the most celebrated adventures in American history, ranking with the Lewis and Clark expedition and the Apollo landings on the moon. For nearly twenty years Lago has researched the Powell expedition from new angles, traveled to thirteen states, and looked into archives and other sources no one else has searched. He has come up with many important new documents that change and expand our basic understanding of the expedition by looking into Powell’s crewmembers, some of whom have been almost entirely ignored by Powell historians. Historians tended to assume that Powell was the whole story and that his crewmembers were irrelevant. More seriously, because several crew members made critical comments about Powell and his leadership, historians who admired Powell were eager to ignore and discredit them. Lago offers a feast of new and important material about the river trip, and it will significantly rewrite the story of Powell’s famous expedition. 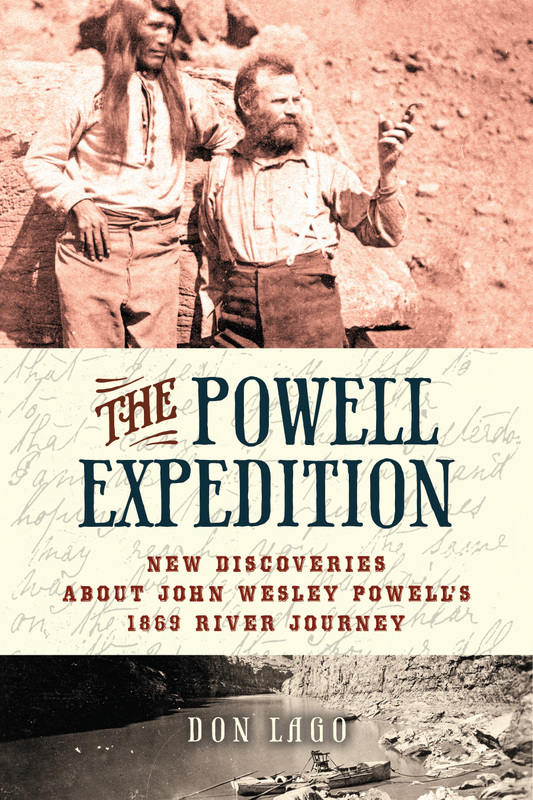 This book is not only a major work on the Powell expedition, but on the history of American exploration of the West. Don Lago is one of the most respected historians of the Grand Canyon, and the author of Grand Canyon: A History of a Natural Wonder and National Park. He has published more than 50 personal essays in national magazines and literary journals. His latest book is Where the Sky Touched the Earth: Cosmological Landscapes of the Southwest. He lives in Flagstaff, Arizona.